Chapters Indigo has a 5 Days of Tech Deals promotion on now! This is an online exclusive, March 7-11, 2016. 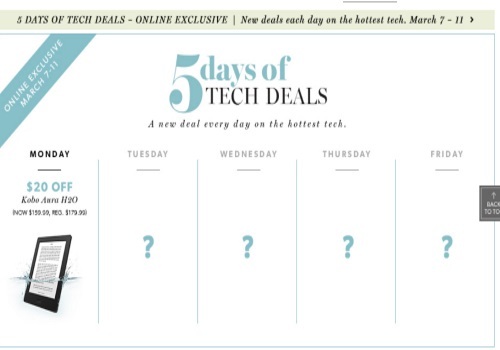 There will be a new deal everyday on the hottest tech.